I won't beat around the bush, I love jewelry. It is probably safe to say that a lot of women do. While I may not have a huge collection, the pieces I do own are unique and were picked out by my husband. Some he helped design and that makes them even more beautiful and special to me. I much prefer unique pieces of jewelry found at smaller, independent stores over the ones you may find at the mall jewelry chain. Not that those aren't pretty, but everyone has them. I recently came across NanoStyle.com which has truly unique jewelry, like nothing I have ever seen before. NanoStyle is the first and only jewelry company to imprint 24kt gold on Cubic Zirconia jewelry. 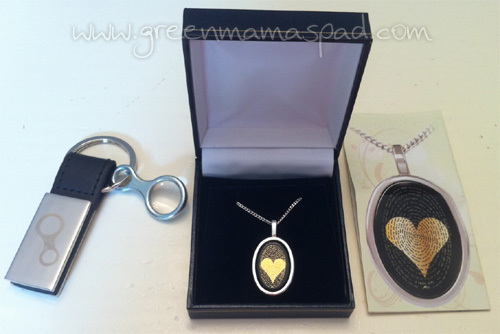 The company is known for creating elegant love pendants and Christian pendants. 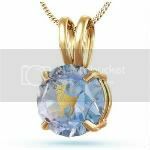 Not only is the 24K gold engraving truly unique and eye catching, but you are also able to make the pendant your won by choosing the color of the stone. When I first was given the opportunity to review and item, I spent a a good amount of time looking at the different colors and styles. Should I go with purple which I love but already have a good amount of jewelry in? Or maybe do something bold and different for me and choose red? It was a tough choice because I liked them all! 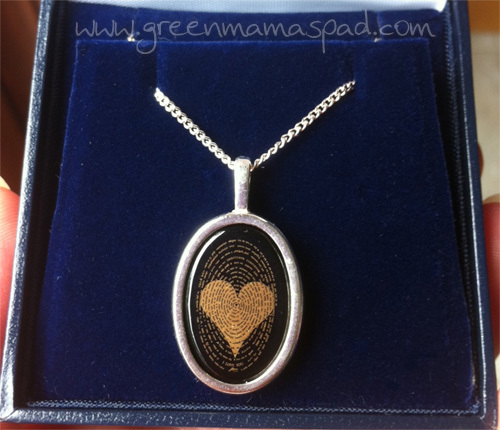 Ultimately, I went with the I Love You 120 Languages Pendant in onyx and silver. I chose the onyx pendant because I felt the black could pretty much go with any outfit and I liked how the long oval shape allowed for the engraving to be larger and more visible. 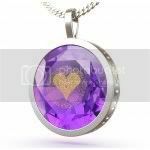 The pendant comes with a 45cm silver chain and a magnifying glass keyring so that you can get an up close look at the engraving. I have been enjoying wearing my new pendant out and about. I even had a few friends and family members ask me about it and compliment on how cool the engraving is. 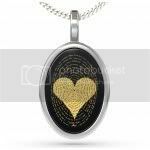 NanoStyle has many other pendants to choose from in addition to this love pendant. From religious to zodiac signs, you are bound to find one that you love. They will also be adding rings to their store soon. With the holiday season just around the corner, NanoStyle jewelry could really make a perfect gift. One (1) reader will win a $50 gift certificate to NanoStyle.com. Please use the Rafflecopter entry form below! Please note that the opinions and views expressed in this review are my own and based on my personal experience with the product and/or company. You may encounter a different experience with this than I did. NanoStyle.com provided me with free products to review. Love the necklace! Look beautiful!! 321-100-$1,000,000-note-onyx-pendant is my favorite !! Thank you for a nice contest. My favorite is the Heart Cupid cubic zirconia Pendant for my wife. The Cross Philippians Onyx Pendant is my favorite. I like the cross with dove pendant. 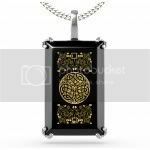 I LOVE YOU 120 LANGUAGES PENDANT ONYX pendant is my favorite! I really love the Capricorn Zodiac Pendant, so pretty! 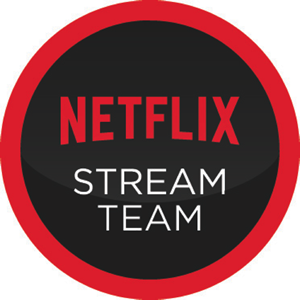 Thanks so much for hosting this great giveaway! I love the Peace in 20 Languages pendant! Love the MUSICAL NOTE PENDANT! I like the Sagittarius ♐ Zirconia Pendant. I like the Infinity pendant! 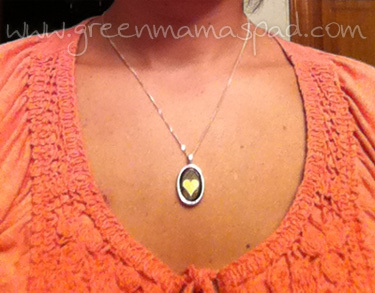 I love the onyx pendant you are wearing! I love the heart cupid pendant. I like the blue rose. Thanks for the giveaway...my wife likes the CELTIC KNOT PENDANT. My favorite is the I Love You in 120 languages Pendant.